Mike Overd, together with another street preacher, Michael Stockwell, has been convicted of a 'religiously aggravated' public order offence, following their arrest in July 2016. He and his friends had been preaching in a Bristol shopping area and responding to questions, objections and abuse. Video evidence shows Mike being forcibly removed from the area by a police officer. Charges against one of the men were dropped before the court hearing and two days into the hearing the court decided that there was no case to answer in relation to one of the other men. However, Mike and Michael were convicted but they have appealed. Mike has been arrested before but successfully contested the charges against him. 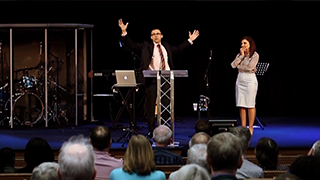 Three Christian evangelists are to appear at Bristol Magistrates' Court tomorrow (Thursday 23 February), charged with public order offences simply for preaching the gospel in a busy shopping centre. 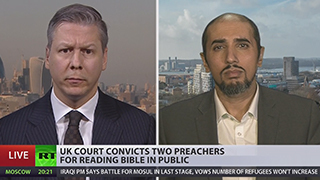 A Christian street preacher has today won his appeal against a public order conviction for using the 'wrong' Bible verse in public.